association of professional chefs of Serbia. Our main goal is to improve the level of knowledge of our chefs, as well as improvement of culinary profession as whole in Serbia. We want to achieve this through constant education and practical workshop. By combining highest level of theoretical knowledge and regular participation in culinary competitions around the globe, we can do a lot to improve this artistic profession in Serbia. Today, application of the highest standards of work is imperative for those who want to become top professionals and that way realize themselves professionally, to the satisfaction of thousands of guests. The founders and the main members of the Culinary Federation of Serbia (KFS) are the Culinary Association of Serbia (KAS) and the Serbian Chefs Association (AŠKS). As a member of KFS, this associations are full member of the World Association of Chefs Societies (WACS). 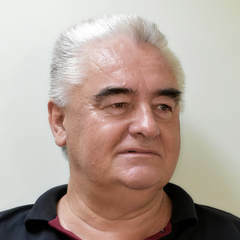 Zoran Mišković is one of the founders of Culinary Federation of Serbia and long-time member of Serbian Chefs association. He's honorary member of KFS from 2018. and chef de cuisine in Air Serbia from 2014. Dejan Stanković is long-time member of all associations inside Culinary Federation of Serbia. He successfully opened several restaurants in Serbia. Since 2015, he is the WACS judge. He is currently the head of the restaurant "Osteria Mozzarella". Jovan Vukelić is long-time member and chairman of the board in Culinary Federation of Serbia. He participated in the organization of many gastronomy events held so far, such as "Balkan Cup", Sačijada and many others. ​Goran Gašparovski ​is young chef, researcher in field of gastronomy, photographer and entrepreneur. Since 2013, his efforts are actively contributing to technical aspects of many AŠKS and KFS activities. He's also the founder of the Gastronomic Association of Students (GASTRO) at the Faculty of Sciences at the University of Novi Sad. He participated in many charity campaigns, international competitions and was a mentor to dozens of Serbian juniors. Vujadin Vujadinović is successful event organizer (fairs, events and festivals). His most famous events are: Gastro Cup and Chocolate Fair in Kragujevac, International Gastronomic Competition in Strumica in Macedonia, Taste of Vojvodina and Gastro Cup in Novi Sad, etc. 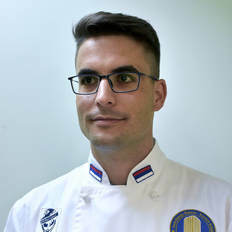 Since 2018, he is manager of Culinary Federation of Serbia. 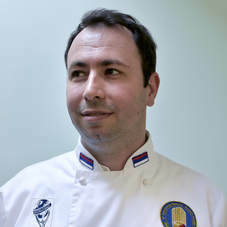 Đorđe Kostić is honorary member in Serbian Chefs Association and Russian, Ukrainian and Azerbaijanese Culinary Organizations since 2014. He works and lives in Eastern Europe for many years now. Miloš Jovanović is professional chef who works on the training of young chefs, conducts training and employment of chefs and charity work. Last 10 years, he participated at many international competitions as a competitor and judge. Since 2017, he's WACS judge. At the moment, he is the chef de cuisine of the restaurant "Mali Vrabac", the hotel "La Petit Piaf" and the wine shops "Skadarlija". Goran Radivojević is an assistant professor and vocational teacher at the Chair of Gastronomy on Departmant og Geography, Tourism and hospitality at Faculty of Sciences at University of Novi Sad. Since 2017, As a PhD student, he is an assistant on the subjects of "Gastronomy in hunting tourism" and "Basics of Bakery and Pastry". He participated in many international competitions. Since 2017, he is certified WACS judge. Branko Jovanović has graduated in 2016 at Hospitality​ High school in Belgrade. He has participated in many international competitions, charity activities and presentations. He is currently the Sous chef of restaurant "Osteria Mozzarella". 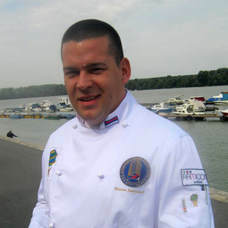 Stambol Geštamov is honorary member of Culinary Association of Serbia since 2017. He's long-time chef at hotel Continental in Belgrade. He has won the prestigious "Chef of the decade 2006-2016" award. 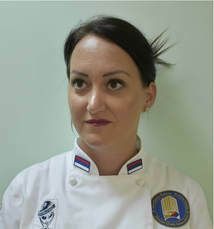 Maja Banjac is an assistant at the Chair of Gastronomy, Department of Geography, Tourism and Hospitality, Faculty of Sciences at University of Novi Sad. She is an assistant at a group of gastronomic subjects that are performed at basic academic studies and master academic studies. She is an active participant in international gastronomy competitions. ​Zdravko Gavrilović since 2010, he is the main Pastry Chef at the Square Nine Hotel in Belgrade. The best result on international competitions is the 3rd place at the 2010 World Cup in Luxembourg. He graduated from Hospitality​ High school in Belgrade. Dragan Tešanović is a PhD full professor, founder and head of the Chair of Gastronomy at the Department of Geography, Tourism and Hospitality, Faculty of Science at University of Novi Sad. He is a professor at bachelor, master and doctoral studies in the gastronomic group of subjects. The mentor has over 200 graduated students with their science papers, 46 master (master's) science papers and 6 doctoral theses focused on gastronomy. Bojana Kalenjuk is a doctor of science and professor at the Chair of Gastronomy, Department of Geography, Tourism and Hospitality on Faculty of Sciences at University of Novi Sad. Her PhD topic was: Vojvodina as a destination for gastronomic tourism. She teaches the gastronomic group of subjects: "Gastronomic culture and tradition", "Natural gastronomy" and "Distribution and control of food and beverages". She has participated in many international competitions as a competitor. Since 2018., she is judge with B license WACS.